requires persistent search for sustainable solutions; hence the addition of my voice. results and analysis. Conclusions and recommendations have also been included. strategies as much as the institutional and the legal framework do. economic development and growth, often fails to convince the citizens in reality. which plays a pivotal role in road asset management. astute and effective way of managing the road asset. scope increase resulting from project implementation without having prior designs. asset management policies and actual strategies. expenditure averaging 2.49% of the GDP on its total roads programs. program objectives of the SNDP were to be attained by 2016.
declining economic fortunes which hinge on impairing effective road asset management. smaller than the 40,454km currently under the care of the Road Development Agency. short life cycles has been a subject of public discourse. from USD$4.437 billion to US$9.914 billion from 2012 to 2016.
expenditures must also be clearly stated. be enforceable and be used to arrive at the Annual Work Plans. the development of alternative modes of transport could be considered. reader, who has sufficient time, is now invited. roads and ZMW1.709 billion for railways. development and those allocated to road maintenance. Focus on Zambia and Lessons for Landlocked Countries. 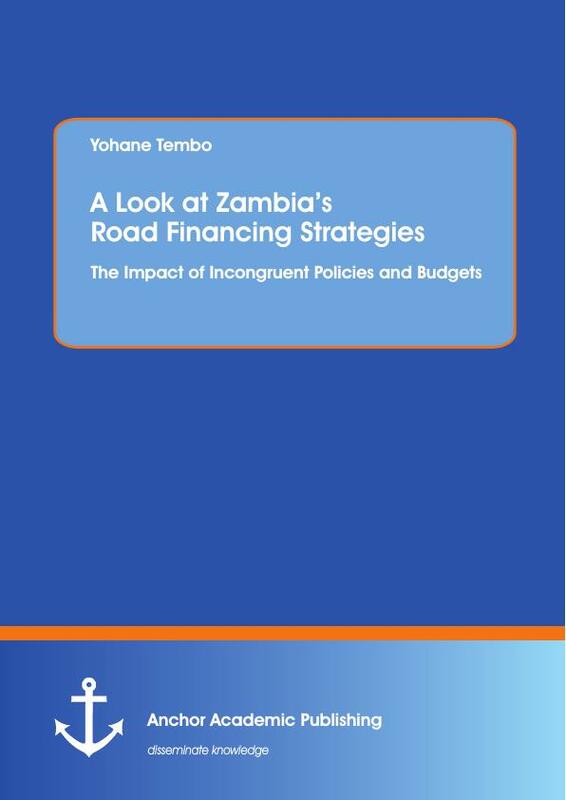 p. 4.
on Zambia's roads compared to other bigger economies. ground, rather than as a prudent way of managing the limited road maintenance funds. resulting from annual budget deficits. pronouncements and the actual road business strategies in the implementing agencies. immediately begin to procure contracts to implement politically pronounced road projects. implementation without having prior designs. economy has continued suffering due to the ever-widening maintenance funding gap. 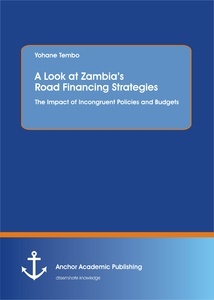 paradigms in Zambia and their consequential effects on the national economy as whole. unit rates in order to make congruent comparisons with projected resources. recommendations have been presented in Chapter 6.
sustainable road construction and maintenance. solve future problems in the road sector around the globe. circumstances to extend the debate. investigate any of them to a sufficient depth. Qualifications Authority. January 2009. p. 42.
be relevant and some documents will contain a lot of unnecessary information. Reading and understanding takes time, so don't try to rush this part. his emphasis in his study. Eberts, R (2010). Understanding the Impact of Transportation on Economic Development. improve the productivity of the economy. driving growth if it is well targeted and makes good use of scarce financial resources. potential responses to capacity problems. met by the State from taxation. total cost can never be covered by a single price. Harvey, J. and Jowsey E. (2007). Modern Economics. 8th Edition. New York: Palgrave Macmillan, pp 235-236.
likely benefits that would accrue from the presence of a road and greater connectivity. inadequate private finance initiative legislation. networks to come up with an attractive package to the private investor. Wales, Joseph & Wild, Leni (2012). The political economy of roads, An overview and analysis of existing literature. benefit/cost ratio) of a transport project are often a subset of total economic effects. More comprehensive analysis considers a wider set of economic impacts. marginal costs exceed marginal benefits. http://en.m.wikipedia.org/wiki/Motor_vehicle. Accessed July 22, 2013.
http://www.info.gov.za/aboutsa/transport.htm. Accessed July 22, 2013.
might be willing to pay for a service and what they actually pay." transportation investments help national economic growth; the two are intertwined. and the National Road Fund Agency Act No. 13 of 2002.
regional road transport strategies, for sustainable development. 3. Preserving investment already made in roads through maintenance. structure for efficient management of the road sector (p. 23). the Road Development Agency (RDA) through the Public Roads Act No. 12 of 2002. Directors, and capable of suing and being sued in their individual capacity. formulate a financial strategy for implementing an action plan for ROADSIP II. (40,113 Km) through various funding agencies. improvements as per "need" and priorities. Create employment opportunities through appropriate road interventions. Improve Road Safety as per Road Safety Action plan. Improve Environmental Management by building capacity. Improve Rural Transport Mobility through road improvements. Communications, and National Road Fund Agency (NRFA) under the Ministry of Finance. roads, estate roads, and park roads, respectively. higher than the Board of Directors of the agency. Public Roads Act No. 12 of 2002, Section 11(2). access finance to bridge funding deficits unless legislative changes are permitted. apprehension exists cannot be over-emphasized here. through the Ministry of Finance. crucial in correlating perspectives with the Zambian case. justified in some cases by large backlogs in rehabilitation projects in some countries. less than 300 vehicles per day) in a survey of 21 African countries (Gwilliam et al. will increase further as a result of the new upgrading projects contracted since 2008.